Naive profits. Drives me crazy. First of all, startups are rarely profitable. Secondly, get a clue – if the industry average is 8% profits to sales, you aren’t going to make 43%. You’re not showing that your business will perform way better than most; you’re showing you don’t know the business. Thirdly, why would I value your plan based on numbers that aren’t credible. It makes your plan worse, not better. Self-assigned superlatives. Disruptive, game changing, etc. Skip the fashionable check-the-list buzzwords. The more you claim it, the less credible you are. Stick to the content and leave the adjectives out. Not having projections. You don’t get to say projections are useless. Readers won’t believe them on the surface, for sure. 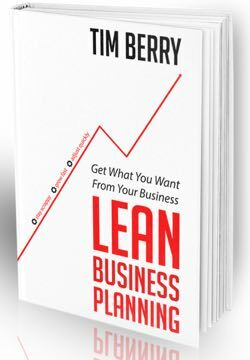 But savvy plan readers want to look at your projections not because they will believe the top or bottom lines, but to see how well you understand the drivers and the workings of the business. Do you know what drives sales? Do you understand direct costs? Are your expenses realistic. No marketing expenses. Another variation on #1 and #3. The projections show huge profits and tiny marketing expenses. Fat chance. Marketing expenses are what make profits and growth incompatible. IRR and NPV. Nobody cares what your calculator or spreadsheet function tells you is the results of multiplying one far-out unrealistic assumption by another and another. These analyses are useful for teaching the time value of money and for some sophisticated financial analyses. Not for business planning. No competition. A sure-fire sign of lack of research, depth, and understanding of the way competition actually works. Cash machines. I’m surprised how often this happens. Plans that are supposed to be related to angel investment project cash immediately and more cash every day, and even accumulate huge cash balances. First of course that’s completely unrealistic. Second, why would yo share ownership of that cash machine with investors? Good business, bad investment. This is quite common, and I often encourage and admire these. Businesses that don’t need investment do show up now and then. Hats off and congratulations. But that doesn’t make a good investment for outsiders who need you to need more cash and eventually to exit to liquidity. Vague puffery in team backgrounds. Way too often people talk about relevant experience in generalities. For example, “a startup veteran” or “had a successful startup exit.” Tell me what companies and when. When the vitals are left out everybody suspects exaggeration. I sometimes insist on details and discover there was really nothing there. The startup was a poster campaign on a college campus. The exit was dissolving the business and selling the computer it owned.